As you may have noticed from my aptly named ‘Back in Black’ moodboard a few weeks ago, (click here for that), black is my go-to shade at the moment. Add to that my penchant for all things gold and you can see how I came up with this look recently. Last weekend a friend of ours came to stay so we thought a trip to The Science Museum was in order and of course I had to rock some metallics for the occasion! My trusty gold H&M jumper was the first piece I picked out when I thought ‘space age’ and of course it’s the perfect warm but chic piece for winter. 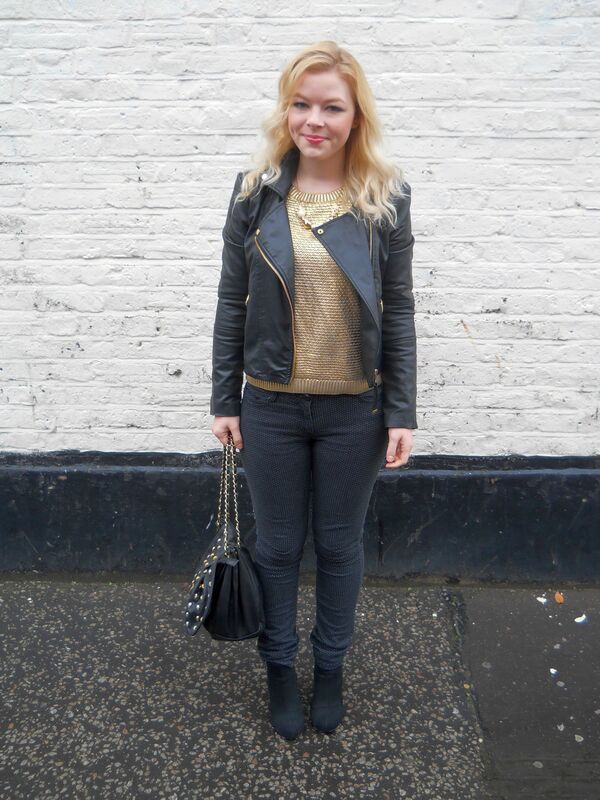 To tone down the gold I went for my classic Matalan skinnies and black Forever 21 boots as well as my Mango faux leather biker for extra warmth (pick it up here). My bag is my everyday skull covered one from Max C London and I don’t see myself ever getting tired of it! Accessories-wise I opted for my new Topshop necklace which was a steal in the sale for just £6.25 recently. 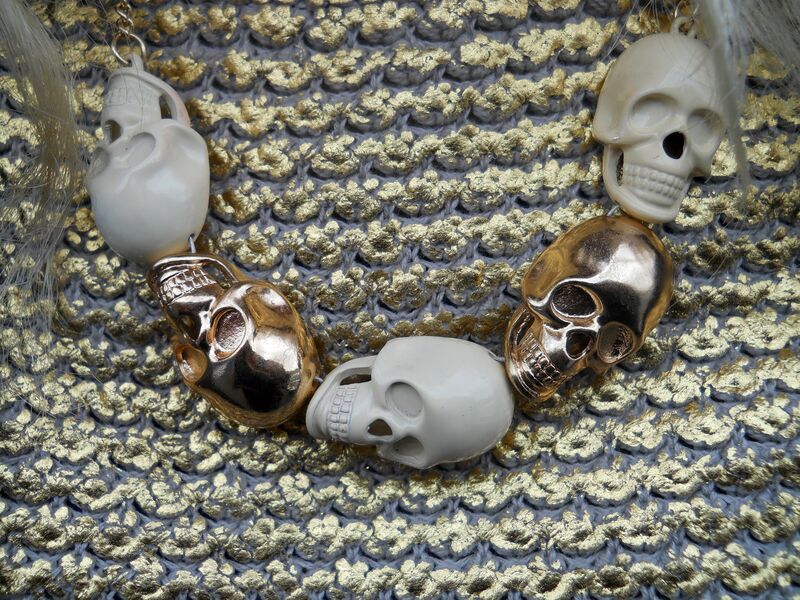 Of course it’s no secret that I’m obsessed with skulls, so this was a no-brainer for me! 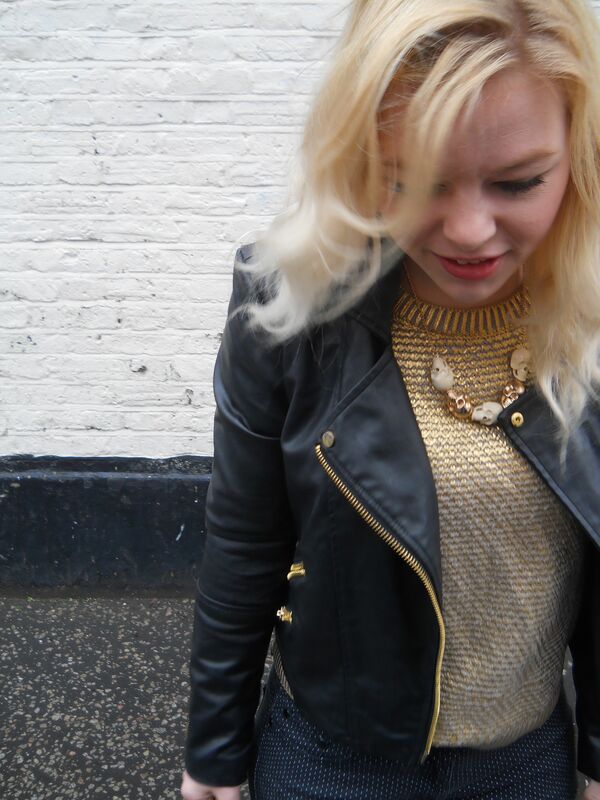 Unfortunately this necklace is all sold out, but they have one in black for £12.50 here. 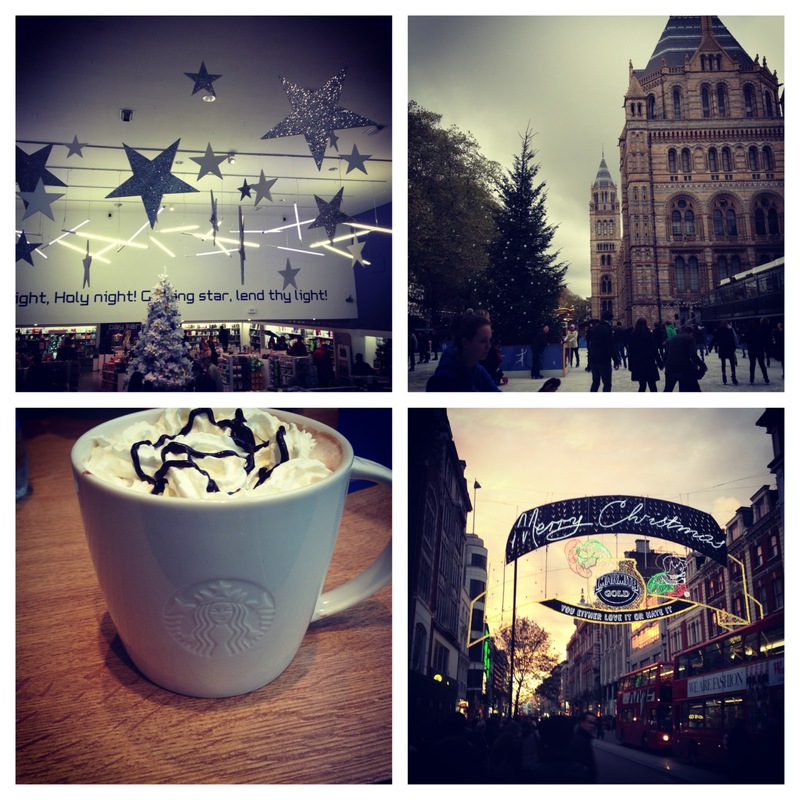 As usual I thought I’d include a few snapshots from our day at The Science Museum, watching the skaters at the rink at The Natural History Museum and wandering down Oxford Street. Enjoy!